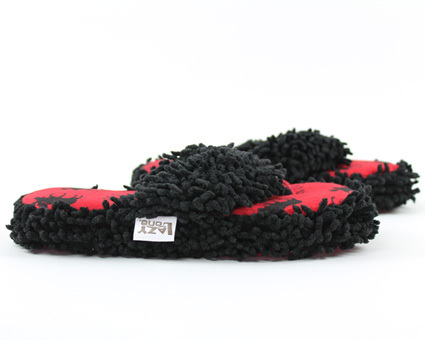 Whether you're in a cabin in the woods, lounging by a pool, or spending a night at home, there is always a place for these Classic Red Moose Spa Slippers. A simple and elegant design of a moose silhouette covers the soft fleece footbed. 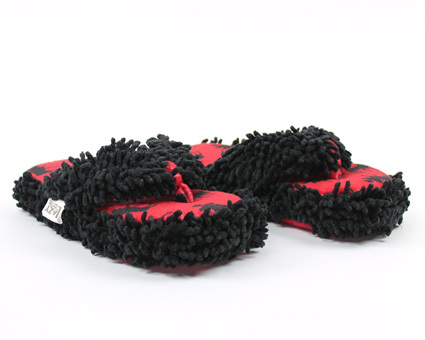 Fuzzy fringes cover the straps to keep your feet cozy. 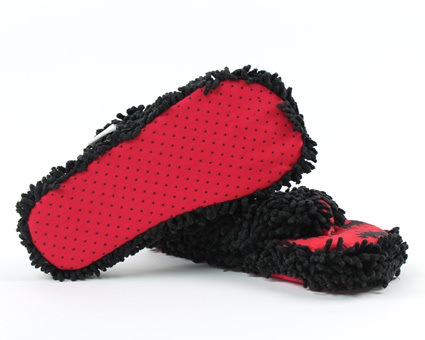 These Classic Red Moose Spa Slippers feature thick foam support and a no-skid base to keep you on your feet. These spa slippers are a perfect gift for anyone, from the outdoorsman to the city dweller. They're machine washable too! I did actually wear these to a spa day! My hubby got me these and a gift certificate to an area day spa. I felt very pampered! They're very comforatable slippers and I like them very much. - Janice.